The footage is just average, but pay close attention to the soundtrack of this video on Edmunds Inside Line. That burble and sneer you're hearing is likely via the 7.0-liter LS7 the next CTS-V reportedly has under the hood. 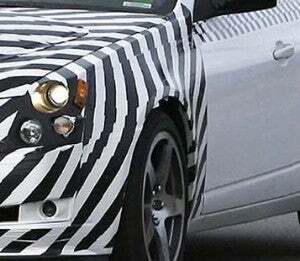 Sure, Caddy will likely market the next-gen CTS-V to enthusiasts as being "N rburgring tested," but they could just as easily run with the tagline "The New Cadillac CTS-V: Bringing Web Monkeys to Eargasm Since 2006."